In Apalach, your furry friends are the stars of Mardi Gras! 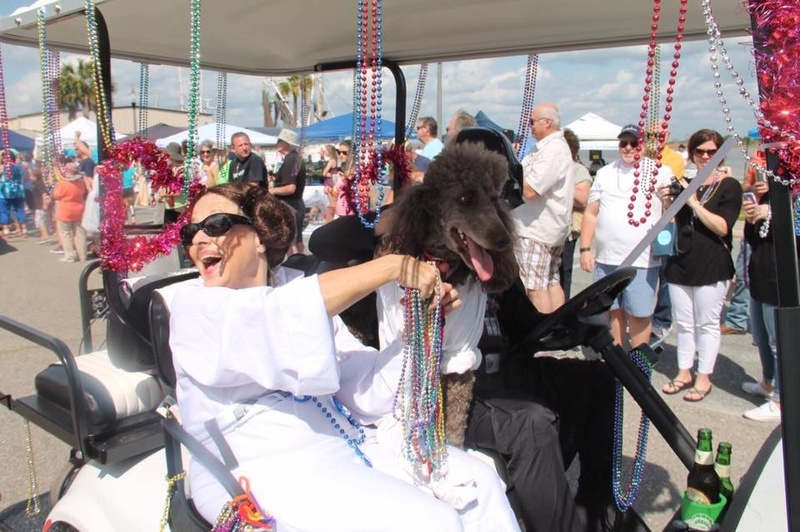 The Mystick Krewe of Salty Barkers has much planned for the 9th Annual Apalachicola Mardi Gras Barkus Parade set for Saturday, February 23rd at Riverfront Park. This year’s event features a theme of “Furry Tails Do Come True” and will celebrate the magic of fairy tales with all attendees (furry or not) invited to dress up or decorate your vehicles to join in the fun. 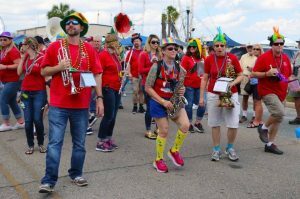 The festival begins at 11am with live entertainment including local bands, dog agility demonstrations and performances from both area dancers and second line groups. Sample delicious local seafood and special baked treats from local vendors while you browse eclectic offerings from area artisans. Planned surprises include appearances by two live “Baymaids,” Doofy (the rescue pelican) and a Fishy Fashion Show. See this year’s King and Queen of Mardi Gras, two shelter animals in need of a forever home that will steal your hearts! The parade begins at 1pm at the intersection of Avenue E and Water Street, circles through downtown and then returns to Riverfront Park for a post-parade celebration. Profits from the parade will be donated to support care and rescue efforts focused on the animals of the Forgotten Coast. Beneficiaries have included the Franklin County Humane Society, the Florida Wild Mammal Association and the Apalachicola Dog Park. Interested in joining the parade? Walker registration is $5.00 per person or $20 per golf cart with pets free, of course! Parade registration is on the day of the event.